Sister Nivedita – Woman who broke 21st century myths in 19th century! Life and work of Sister Nivedita show us that tradition and modernity can be kept together for the development of this country. On her 150th year, her thoughts are as relevant as before. Her life is an example of the respect of women and culture in the Hindu civilizational thought. For all those who criticize Hindu Dharma for being disrespectful to women, Nivedita proves them wrong and sets an alternative way of looking at India. She revived traditional art, supported Indian scientists, redefined literacy for women and advocated for an Indian way of development. In Ireland, she had worked as a teacher of children and then established her own school where she followed her unique methods of teaching and thus, she was chosen for the role of educating Indian women. Vivekananda believed education was the panacea for all evils plaguing the contemporary Indian Society, especially that of Indian women. Eschewing the standard approach of imparting a purely European “Civilising” Education, she wanted key elements of a Western education and sought a synthesis with Indian Culture. Sister Nivedita declared that “first and foremost, we must root them in their own past” and then give Indian women the three characteristics of a modern mind, “Scientific standards geographical conception, historical possessions.” Reaffirming her belief in Hindu Goddess, on the day of Kali Puja (13th November 1898), Nivedita opened her first school in Kolkata. In combination with classroom learning, the industrial department (Pura-Stree Vibhaga) in the school was initiated in 1903. Handicrafts like embroidery, tailoring, and toy-making are taught here. Currently, this industrial section is affiliated to the Directorate of Cottage and Small Scale Industries, Government. Nivedita’s conception of nationalism was to awaken a nationalistic consciousness in all the areas of national life– education, literature, science, history, arts and folk culture. The worship of the goddess Kali and traditional family practices became the focal point of her own romanticized interpretation of “Muscular Hinduism”. A metaphor for death overcoming life in spiritual terms, Kali was seen as freeing her worshippers from fear and thus empowering them, and Nivedita associated this empowerment with the burgeoning Indian nationalist movement. She spread the national consciousness by writing in Indian newspapers and periodicals like The Statesman, Amrita Bazar Patrika, Dawn, Prabuddha Bharata and Bal-Bharati. She also wrote several books, the most remarkable of which are: Kali the Mother, Cradle Tales of Hinduism, The Master As I Saw Him. The best of Nivedita’s books on Indian national life was The Web of Indian Life. Through this book, Nivedita gives a fitting reply to vile representations made by the Western scholars of Indian culture and civilization. 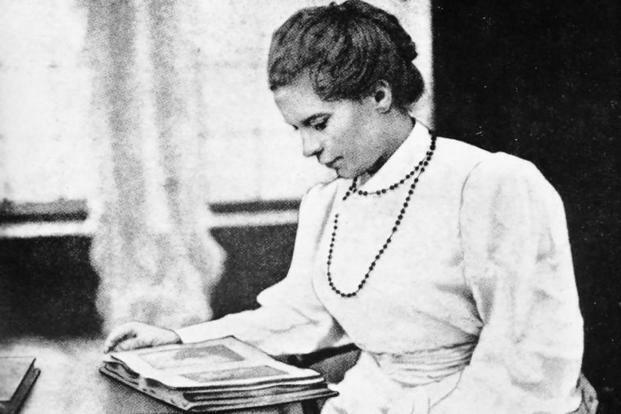 At the time, when Indian tradition was seen as inferior, Nivedita worked for the revival of arts and science. An Irish woman wearing a European attire taught us to flower according to our innate nature. At the time of Vivekananda, the Indian scientist Jagadish Chandra Bose created a sensation in the world by his original scientific work. But in a dependent India, Bose carried out his work under extremely unfavourable conditions. Realizing Bose’s worth, Nivedita exerted her influence to secure his assistance from the Government. Nivedita propagated his work through newspapers and periodicals. As his research work entailed substantial expenses, she helped him financially also. Not only in the field of scientific research, but also she made a unique contribution in developing an art movement in the national lines. This movement, that grew with Havell and Abanindranath and culminated in Nandalal Bose, owes much to Nivedita. She always inspired and guided the talented students of the Calcutta Art School to move along the forgotten tracks of ancient Indian art. In the same way, she greatly encouraged eminent personalities like Romesh Chandra Dutt and Jadunath Sarkar in writing history along the nationalist ideals. Sister Nivedita left her body on 13th October 1911. She remains one of the most influential female figures of India. Her book Kali, the Mother influenced Abanindranath Tagore who painted Bharat Mata. Several schools and colleges have been named after her. In 1968, the Indian Government issued a postal stamp in her memory. The Nivedita bridge near Dakhineswar, Kolkata is named in her honour. In a short life of 44 years, she lived as a social worker, author, and through all her activities personified the goal of Swami Vivekananda to ‘Be and Make’. We must not fail her. The article was published by The Pioneer on November 3rd, 2017.